If we had lived during the Jurassic Period, we would have seen large swamps and broad flatlands. Imposing dinosaurs would have roamed about, including the nine-metre-long, Megalosaurus and the even bigger Allosaurus, both meat-eaters. 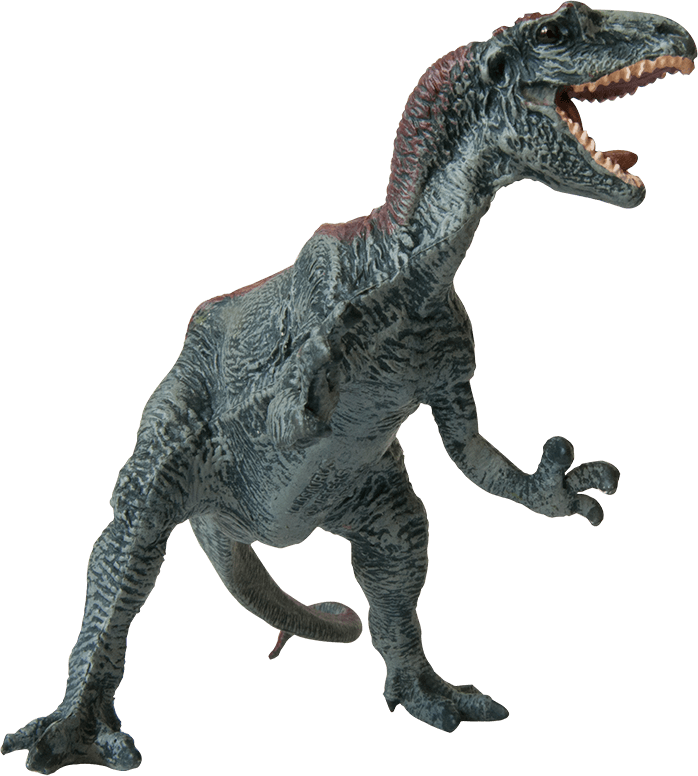 Allosaurus, 12 metres long and up to five tons heavy. During the Jurassic the empire of the dinosaurs flourishes. Some species were among the largest animals that have ever existed. But not all were large, the species varied widely in size, and their appearances could be both remarkable and fantastic. 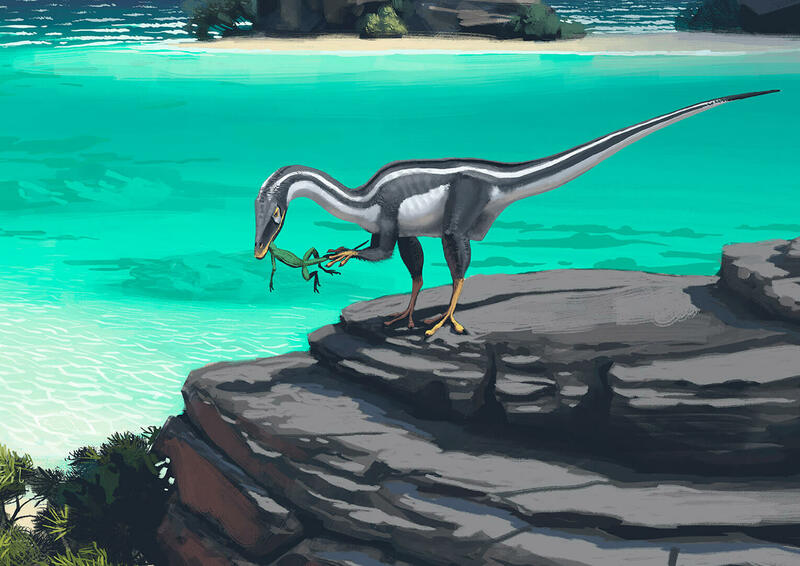 Also living at this time was the little Compsognathus, the smallest known dinosaur species. Compsognathus was a meat-eater, but no larger than an ordinary chicken. It probably fed on small mammals, lizards and insects. Compsognathus, no larger than a chicken. Among the Jurassic dinosaurs were the peculiar armoured plant-eaters. Kentrosaurus was four metres long and had two rows of bony spikes on its back and tail. The spikes were an effective defence against predatory dinosaurs. 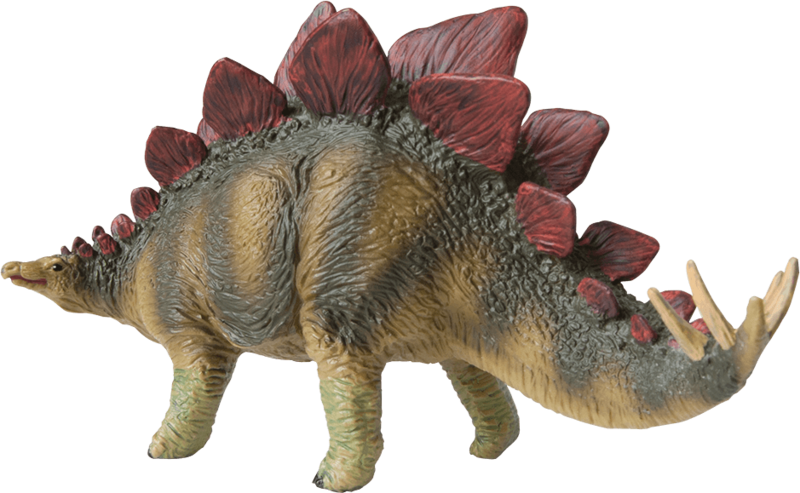 One of the best-known armoured dinosaurs was the nine metre long Stegosaurus. Its brain was no bigger than a walnut but it had an extra “brain” in its rear section, a nerve centre which helped to operate its enormous body. The large bony plates on its back and spikes on its tail provided an impressive defence. Stegosaurus, armoured giant with an extra “brain” in its rear section to help it operate its enormous body. The most spectacular dinosaurs during the Jurassic were the long-necked, plant-eating sauropods – the largest animals that have ever existed on land. 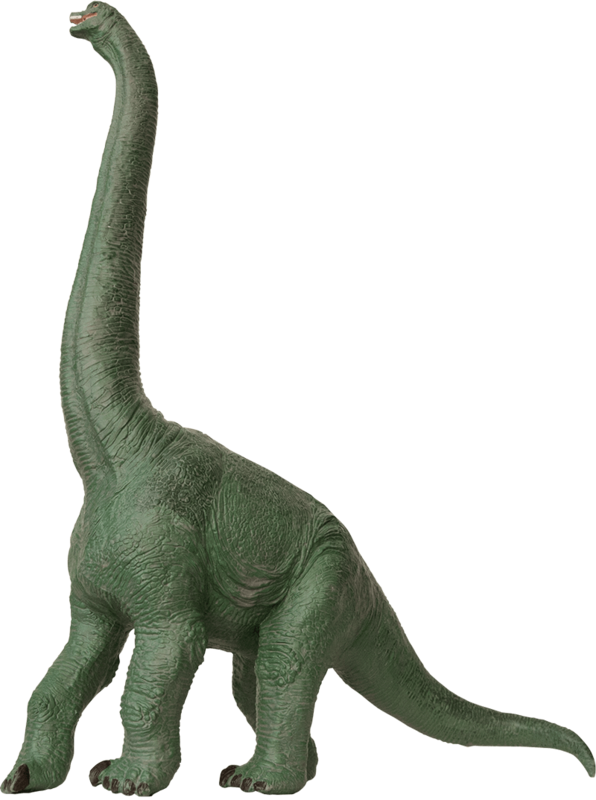 Brachiosaurus was one of the very largest, 25 metres long and weighed up to 75 tons. Its neck alone was 12 metres long. Brachiosaurus. 12 metres long neck! Scientists are not certain which dinosaur was the very largest. One of the main candidates is Seismosaurus, which is believed to have been up to 40 metres long.